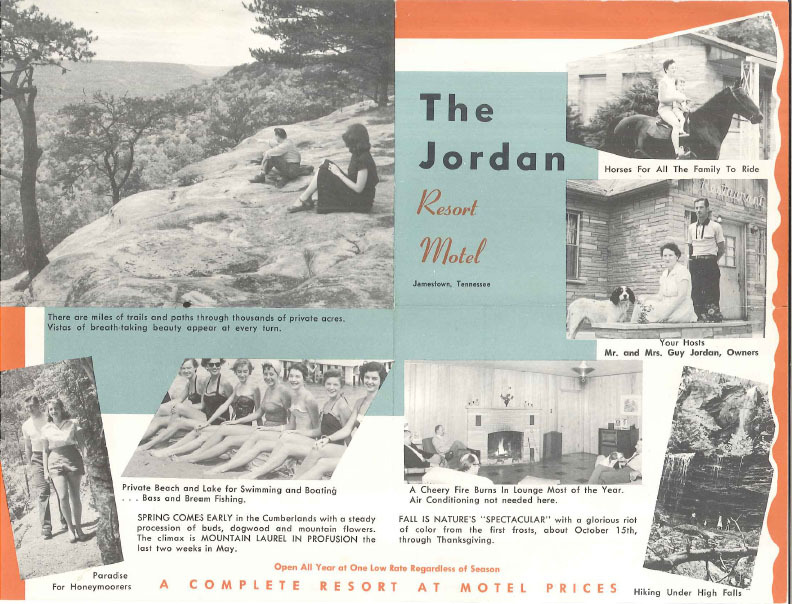 In 1953, Guy and Esther Gernt Jordan began building the Jordan Motel, which is located on Hwy. 127 near Jamestown, TN in the heart of what is now, trail riding country. The motel consists of three buildings with a total of twenty-seven units, two apartments, and living quarters for the manager. The main building was constructed as a U-shaped motor court motel with a gable roof of asphalt shingles, an exterior of crab orchard stone and a projecting gable bay that contains the office. The second building, south of the main building, was built ca. 1958 and has four units. It also has an exterior of crab orchard stone and a gable roof of asphalt shingles. A two-story apartment building was added in 1983 to the south of the second building. The original sign with neon and a ca. 1956 swimming pool are located directly to the east of the office. The property has been owned since 1985 by Joyce Vaughn Pierce. She and her former husband purchased the property in the 1970’s from Netta Reines. The restaurant on the property burned in 1990. This is a one-story, integrated, U-shaped motor court motel built ca. 1953. 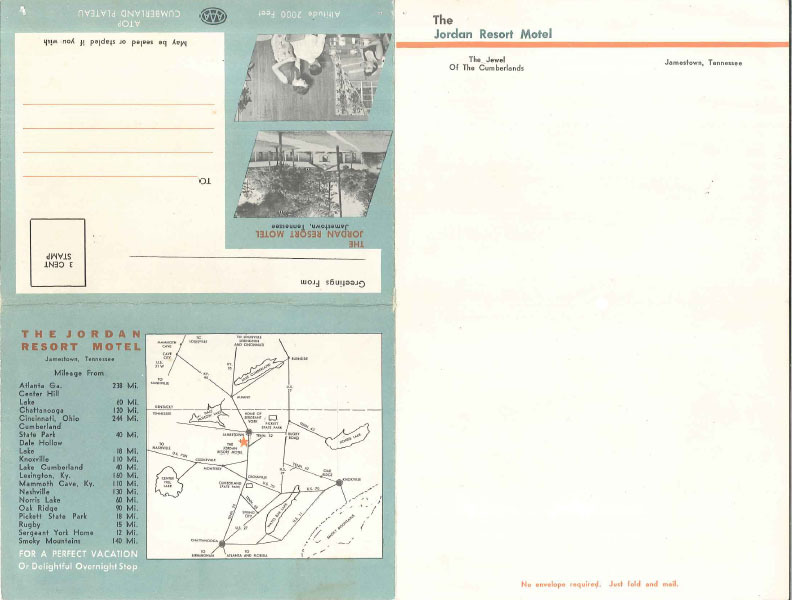 The motel consists of three buildings with a total of twenty-seven units, two apartments, and living quarters for the manager. The main building was constructed ca.1953 and is an integrated U-shaped motor court building with a central projecting office bay. The ca. 1953 building originally had twelve units but one has been turned into an apartment. The building has a gable roof of asphalt shingles, an exterior of original crab orchard stone, one central crab orchard stone chimney, and a stone foundation. The incised porch extends around the entire front of the U-shape and has the original wrought iron porch posts. Entrances are original solid oak doors. Windows are original one-over-one aluminum sash design. The office interior has a linoleum floor, original wall paneling and an added acoustical tile ceiling. The office also has an original stone slab mantel. The interiors of the individual rooms of the original motel section have added or painted paneled wood walls, acoustical tile ceilings and carpet on the floors. The bathrooms have original tile and plaster walls, showers and added linoleum floor surfaces. A rear wing was added to the main building ca. 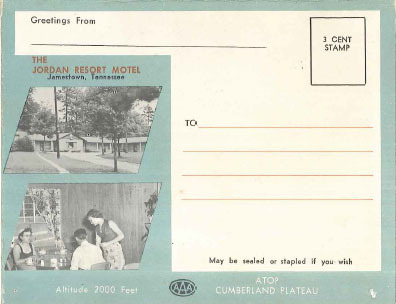 1958 which housed the laundry and storage room for the motel. An apartment for the manager was added in 1984 to this rear wing. Located in front of the main building is a ca. 1956, concrete pool and an original sign with painted porcelain and neon.